A wedding is a special time for everyone especially the Bride and Groom. The closest to a bride on her wedding day, after her parents, is her bridesmaids. Bridesmaids usually close friends or family, helps the bride with anything she may need, if it has to do with getting ready, fixing something for the bride or at the wedding or just to vent off some of her anger. 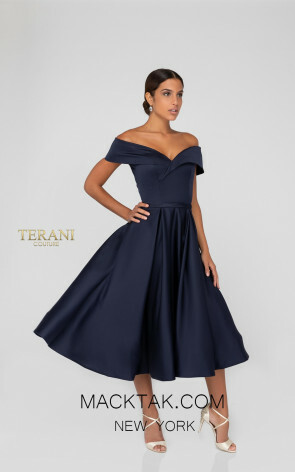 Bridesmaids have such an important role in the wedding and for that reason a line of dresses has been made just for bridesmaids by the great New York based designer, Terani Couture. Terani is a world renowned designer that consists of different designs that are loved by millions worldwide. Every dress has been made from lustrous silks, chiffons, charmeuses and foulard. Find the perfect Terani Bridesmaid dress so you can flaunt your assets in these gorgeous gowns. Look stunning in one of these immaculate bridesmaid dress made by Terani Couture. Steal the heart of the groomsmen who will be dying to know who this divine woman. You will be the center of attention for all the single men out there and each one will be dying to get your number. Don’t wait another minute instead choose from one of these breathtaking Terani Couture Bridesmaid dresses to make this night one of the most memorable nights for you. With so many different style of evening gowns/dresses, how do you know what is dress is right for you? Let us, here at MackTak, help you find the dress that you are imagining. We take the time to listen to you carefully while you tell us what size, shape, color, and price range evening gown/dresses you are looking for. We search through thousands of dresses to find you the perfect that dress that will make you happy. MackTak evening dresses are known for having a collection of the most exquisite gowns/dresses that are just absolutely break taking. Each gown is luxurious and made by some of the most top rated designers. Contact MackTak to find the perfect dress for your special occasion and be prepared to be in the spotlight of your event.